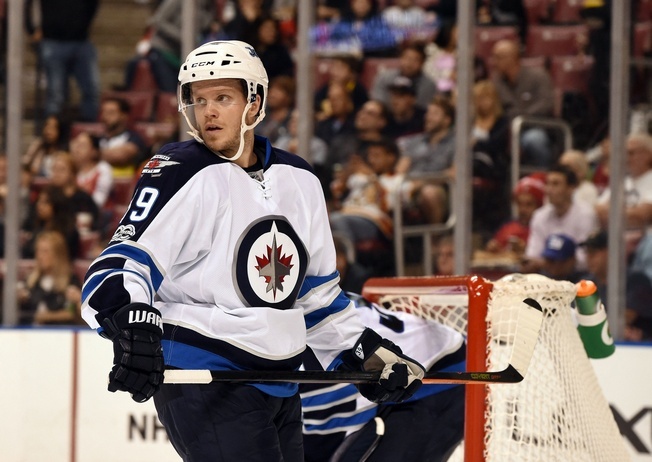 Winnipeg Jets defenceman Toby Enstrom is out indefinitely due to a concussion, the team announced on Friday. Enstrom suffered the concussion after being hit from behind by Pittsburgh Penguins forward Tom Sesito on Wednesday. The blueliner left the game and was taken to hospital, while Sesito was ejected and eventually suspended four games for an illegal check from behind. The 32-year-old has 14 points in 60 games for the Jets thus far, but the club likes his intangibles. The Jets have made do without the services of other defencemen over the course of this season, like when Tyler Myers missed 57 games with lower body injuries or when Ben Chiarot was on the sidelines for a dozen games. Winnipeg will wrap a six-game home stand on Saturday with a game against the Calgary Flames. They took losses to the Penguins and San Jose Sharks earlier this week and are 2-3-0 on the stretch. Enstrom averages 21:54 of ice time per game, so finding a way to mitigate that as the Jets try to pull off some wins may be a challenge. Winnipeg finds itself with a 30-32-6 record right now, good for fifth in the Central Division. They have 66 points, putting them a fair bit behind the St. Louis Blues and the second wild card spot in the Western Conference. The Jets also have less games at hand, which gives them less time to fight for the spot. That’s what makes the timing of Enstrom’s injury so bad. The Jets are in an all-hands-on-deck situation here. For now, Mark Stuart will take Enstrom’s place in the lineup. The Jets will hope for something more finite with respect to his condition soon. For now, they’ll have to hold on tight.